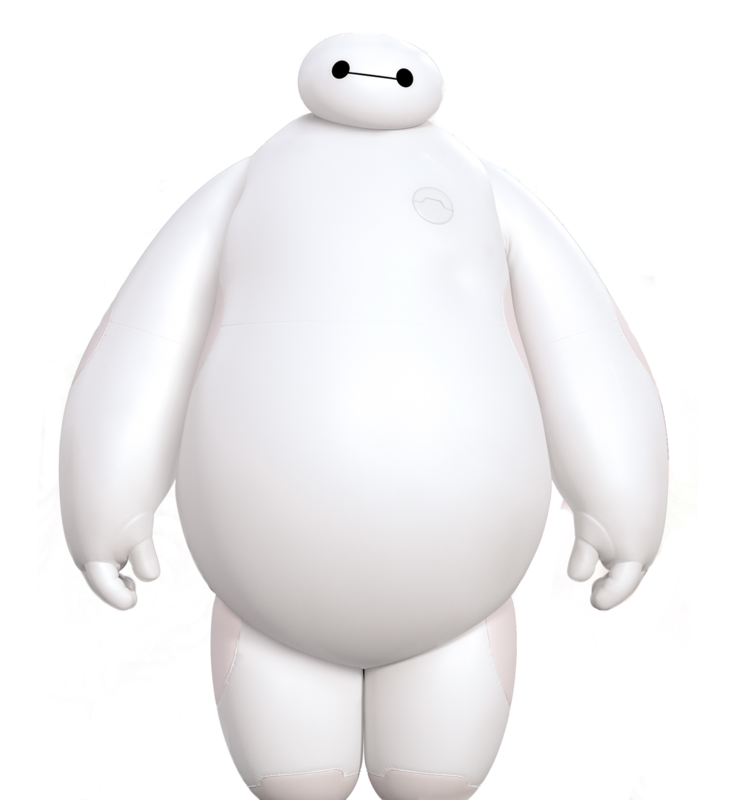 From watching the famous Disney movie, Big Hero 6, I was inspired to recreate the robot called ‘Baymax’ but with only no facial features which is the main purpose of the narrative for my animation. 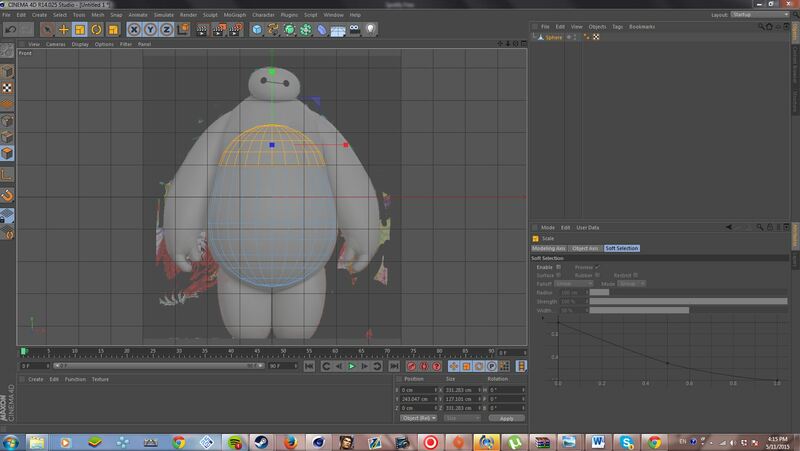 I used a render of Baymax as a base and reference for modelling my character, which I placed into the front view in Cinema4D. The creation of the body was especially round so I decided I would use a sphere as the base of the body and manipulated the sphere to get it into shape of the body. 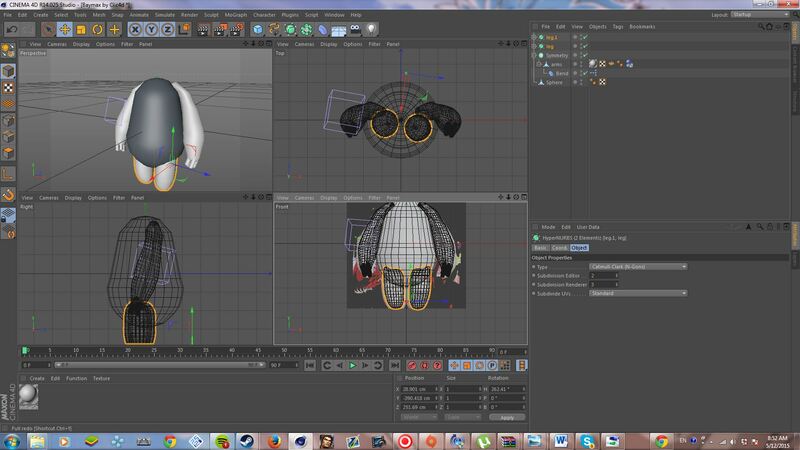 This was done by selecting the polygons in the front view and moving them with the addition of the scale tool to try and mold it into a more rounder shape. The same technique was used with the creation of the arms, however I modeled the left arm first and used the Symmetry tool to copy it onto the right side to make the process much easier for me. The fingers were also just capsules scaled down in size. 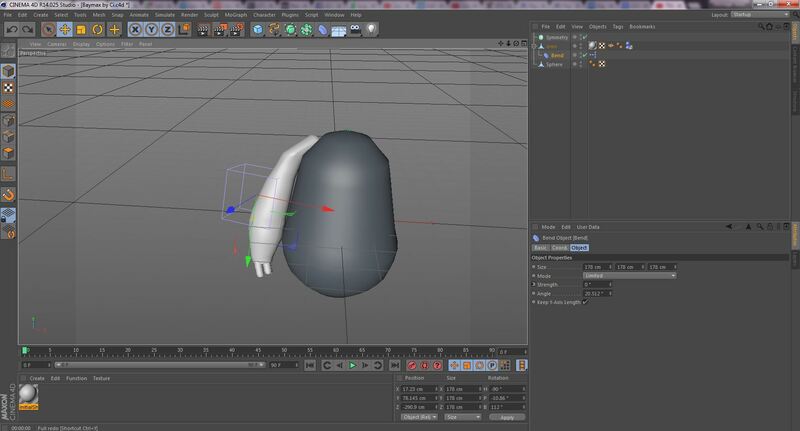 The legs for my character were also made with spheres. 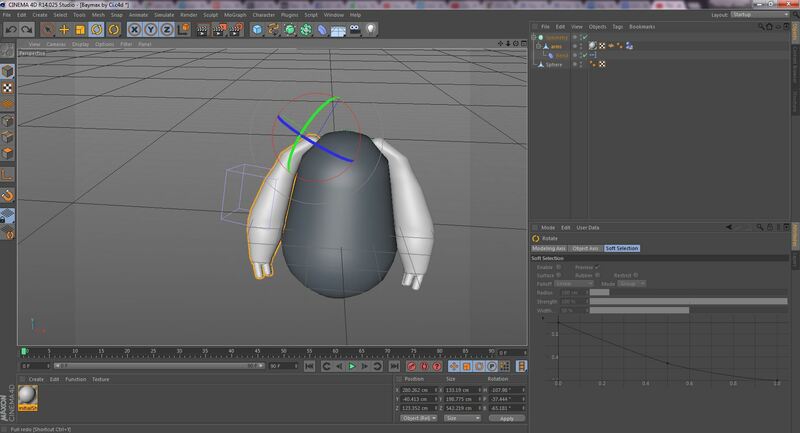 I subdivided everything to make my character look more smooth and round as even though I manipulated the spheres to make it as best as it could look, it still looked a bit jagged around the edges so once I subdivided it, the anomaly was fixed. I used a simple white colour texture for the whole body of my character.